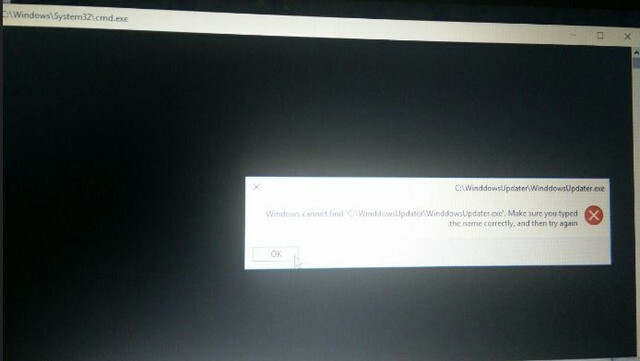 This message is rising up When Windows starts. "windows cannot find c:\windowsupdater\windowsupdater.exe\make sure you typed the name correctly, and then try again"
Can you please suggest how to solve this reject. At the moment please close the topic, since it seems that the issue was handled. As the problems seem to be resolved, this topic is now closed. by Bilder » August 18th, 2018, 5:22 am in Infected? Virus, malware, adware, ransomware, oh my! Getting the message"this program is blocked by group policy"
by mbaker1973 » July 18th, 2015, 12:35 am in Infected? Virus, malware, adware, ransomware, oh my!